Schiphol’s flight information offers a wealth of information on current and scheduled flights to and from the airport. The Flight API makes part of this information available to developers. Airlines and ground handlers feed the Central Information System Schiphol (CISS) with lots of data. Part of this information is now available for developers via Rest API Flight Information. Our Flight API offers flight information from passenger flights and cargo flights. Both scheduled and chartered. The Flight API can be used for various target audiences like travellers, plane spotters and airlines in a wide range of applications like wayfinding, public transport and media. We invite developers to use their imagination and combine this API with other APIs and to come up with innovative, value creating products. 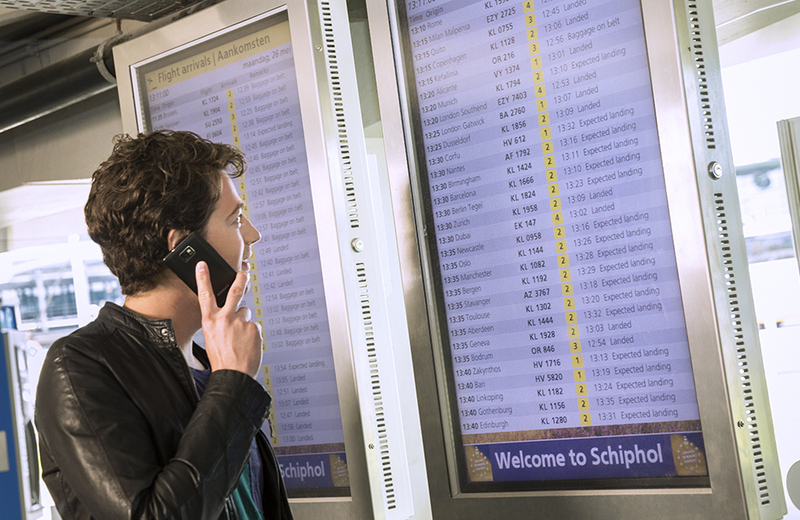 Use up-to-date information on all flights to and from Schiphol. Right from the source. Get access to the exact same information as us, at Schiphol. Track all flight types, both passenger and cargo flights and both scheduled and chartered.